Aditi plays the role of Ranveer Singh's wife while Jim plays a slave-general of Alauddin Khilji, and they play their part with conviction on screen. Two days prior to Padmaavat release, the makers of the film hosted a pre-screening for film critics to review Sanjay Leela Bhansali's upcoming period drama. And the movie has managed to impress them with its grandeur, brilliant performances and breathtaking cinematography. While critics are all praise for Deepika Padukone, Shahid Kapoor and a special mention for Ranveer Singh for living his character of the menacing king Alauddin Khilji, supporting and underrated actors like Aditi Rao Hydari and Jim Sarbh are also getting lauded for their respective roles. Aditi plays the role of Ranveer Singh's wife while Jim plays a slave-general of Alauddin Khilji and they play their part, even if it is smaller, with conviction on screen. 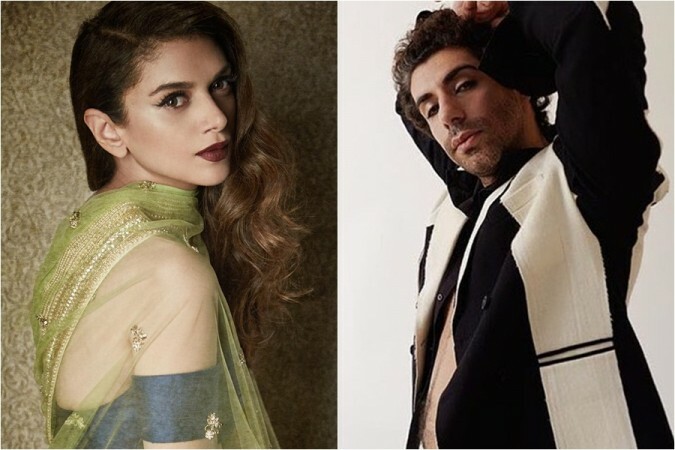 Jim Sarbh has already proved his mettle in films like Neerja and A Death in the Gunj while Aditi, on the other hand, has given wonderful performances in films like Rockstar, Tamil film Kaatru Veliyidai and Bhoomi. Padmaavat gave both the actors a huge platform and a chance to showcase their abilities and shine brightly against all odds. And both Aditi and Jim didn't let the opportunity slip from their hands and pulled off their respective characters of Mehrunisa and Malik Kafur, to the T.
Padmaavat is being touted as one of the best works of Sanjay Leela Bhansali till date. You can see how the filmmaker has evolved over the past few years. After looking at his previous outings Bajirao Mastani and Goliyon Ki Rasleela Ram-Leela, one can easily pick and analyse the transformation that Bhansali has shown in his movies. Despite the ongoing protests by the fringe group Rajput Karni Sena, Padmaavat has received a massive response in terms of advance bookings which might give the movie a good start at the box office. While Bollywood trade analysts have been predicting that Padmaavat may become the highest grossing films till date, it remains to be seen if the ongoing threats and protests would hamper the film's business or not.